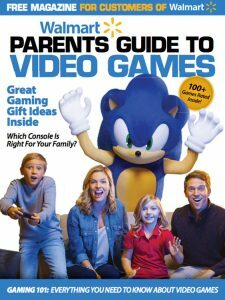 The Walmart Parents Guide to Video Games is the ONLY video game magazine published in the United States, written exclusively for Mom and Dad. 300,000+ readers per issue of the print magazine. The print magazine is distributed from a double metal magazine rack on the video game section end-cap in over 3,000 Walmart stores nationwide. 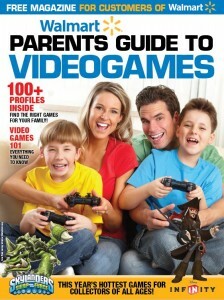 100,000 Walmart Parents Guide to Video Games mobile phone apps downloaded, featuring our newest issue. 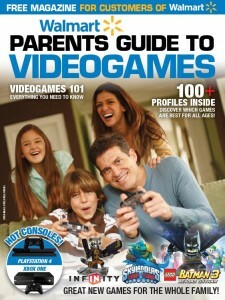 150,000 Walmart Parents Guide to Video Games iPad apps downloaded, also featuring our newest issue. 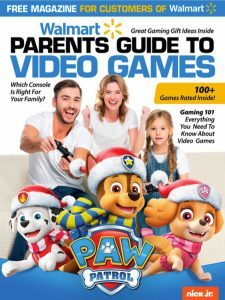 Interested in advertising in the Walmart Parents Guide to Video Games? Contact us for more information and our 2018 publishing dates.